Heh, I always get giddy when I see Linux on TV. This time, Fedora's appearance inside a Virtual Machine on a Secret Service owned Mac desktop is not so unexpected. Why? Because we're talking about the division that handles electronic fraud. And yes, that is XChat. What's really funny is that the show is apparently sponsored by "Windows 7", of which I've seen none in the first 2 episodes. Most of computers were Macs, and those that were indeed Windows, were XP. 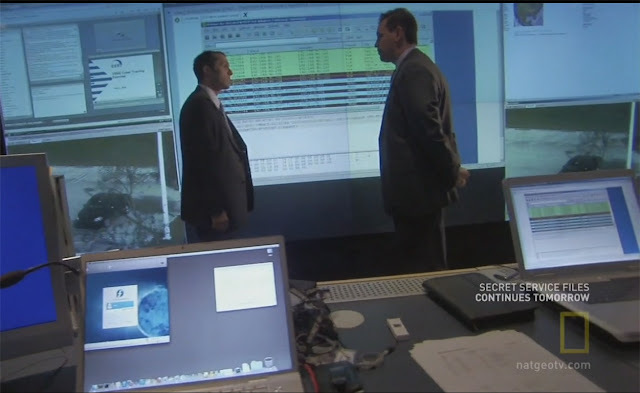 And now imagine the secret service using Windows 8... Hilarious! The last time I tried both of GNOME 3's official ISOs, things didn't go as planned. But the recently released 3.2 version deserved another chance, seeing its apparent slew of new features. I downloaded the 946 MBs of data, burnt it and booted from it. This time around, the live environment loaded up pretty quickly and with, I'm happy to report, 0 errors or hiccups. Yay! The "revolutionized" interface worked as expected and I was able to rapidly get to the "Live Install" button that was sitting boldly on top, inside "Activities". Oh, the base for this GNOME 3 showcase is openSUSE. The installation process is quite easy to go through. As I chose to place the distro on my second HDD, I also wanted the bootloader to be installed on the same HDD, so as not to interfere with the primary drive arrangement. Sadly, and I tried several options, the bootloader wouldn't be correctly installed. I finally conceded and overwritten the main one. Anyway, as I'm here to give you my impressions on the GNOME 3 interface, I will stop complaining about openSUSE. But not until I tell you that Epiphany doesn't work and I can't add my Canon MP250 printer!! There! The first thing I noticed was the lack of minimize and maximize/restore buttons. Only a metallic grey X on the top-right corner of my windows. With the changes most OSes go through nowadays, even the X in its proper position feels like a welcome reminder of the old days. 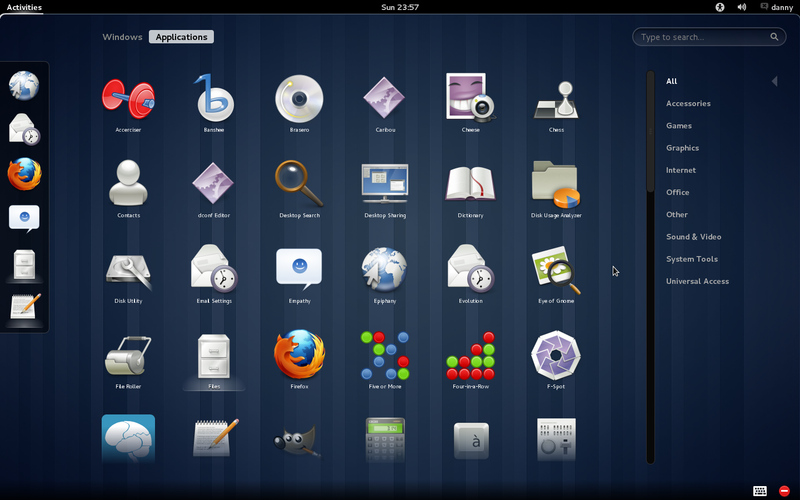 Other than that, GNOME 3.2 is quite different from what I was used to. Rather than minimizing windows all the time and looking for the one you need in the application switcher, you now simply move the cursor to the top left corner of the screen (where it says "Activities") and a dashboard will come up, displaying smaller versions of all the windows that are on your desktop. I've always used and recommended the "Scale" plugin in Compiz, so I obviously am very pleased with this one. Of course, you can always use the ALT+TAB key combination to navigate your windows. But the "Activities" dashboard is much more than that. Once it's open, the left side of the screen hosts a dock that you can customize with your favorite applications (simple as drag&drop). On top, there are two tabs: "Windows" and "Applications". While the first is what I described above, the second one will display all of the installed applications, along with their corresponding categories. On the right hand side of the screen, you have the workspace switcher. For starters, you get two of them. As you fill them up, more will automatically be added. On the bottom lies another cool new feature that is quite controversial among users, but I happen to like it very much. 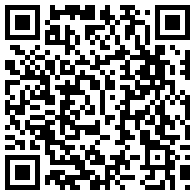 That's where the Empathy chat integration shines. Every time you receive an IM, the message will smoothly raise from the bottom of the screen (even if you don't have the dashboard activated) and will stay there for a few seconds. If you move the cursor down there, the pop-up will expand to give you a writing field, so you can quickly respond. Sadly, if the pop-up disappears there's no in-plain-view way of telling someone tried to reach you through IM. But if you go to the dashboard, that person's avatar will appear in the bottom-right corner, along with the number of IMs you missed from them. And yes, you can chat using the classic empathy windows, just like before, if you want. You don't have to exclusively use the new pop-ups. But they certainly are welcome on my desktop. Still, the most useful feature in the dashboard is the search function, which worked, during my testing, flawlessly. You don't have to go to the search field and click inside it and only then type what you need. No, no, you just start typing whenever you want regardless of what you were doing inside the dashboard. It patiently waits for you to type a letter and it instantly activates. It searches for files, applications, IM contacts (!) and even gives you links to Wikipedia and Google. Good job on this one, developers! Oh, and the dashboard is also easily activated by pressing the "special/windows" key. The actual desktop is rather unusable and its only purpose is to display pretty wallpapers. The time and date is graciously displayed in the middle of the top panel and you can click on it to drop down the full calendar. 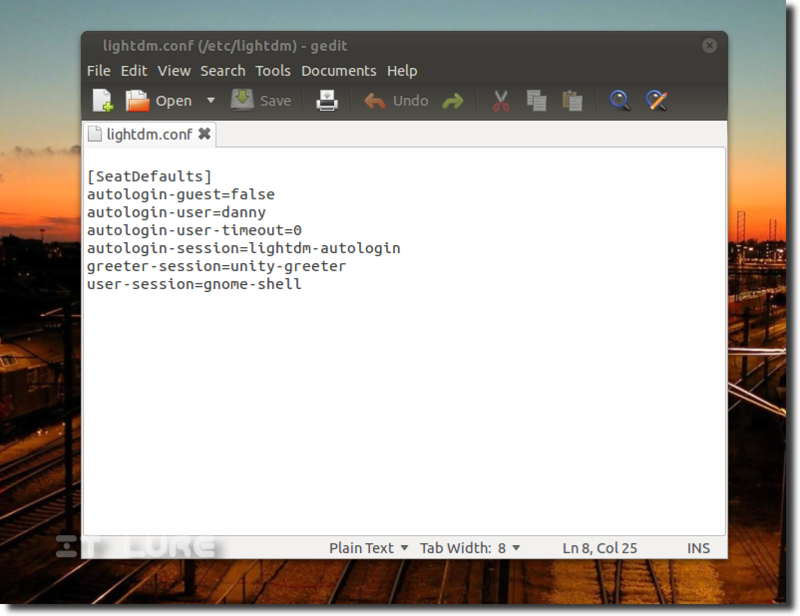 The "Universal Access" toolbox is a portal to a bunch of settings designed to make GNOME 3 easier for impaired users. I especially liked the on screen keyboard, which not only is sufficiently big and easy to type on, but it also auto activates when you're on a text field. Really, really helpful. Sadly, I couldn't seem to make the new file preview function work as advertised. In true MacOS spirit, you allegedly select a file, press space and a quick preview will unfold in front of your eyes. My biggest complaint is that the GNOME people didn't put much effort into shipping their desktop environment on top of a stable, good platform so new users will unmistakeably be attracted. Other than that, I am definitely inside the "Thumbs up" camp when it comes to the overall experience offered by GNOME 3.2. For the complete list of features, visit the RELEASE NOTES. I'm sure you have an opinion, so don't hesitate; start typing in the comments section below. And thank you for reading! A great day to you all!